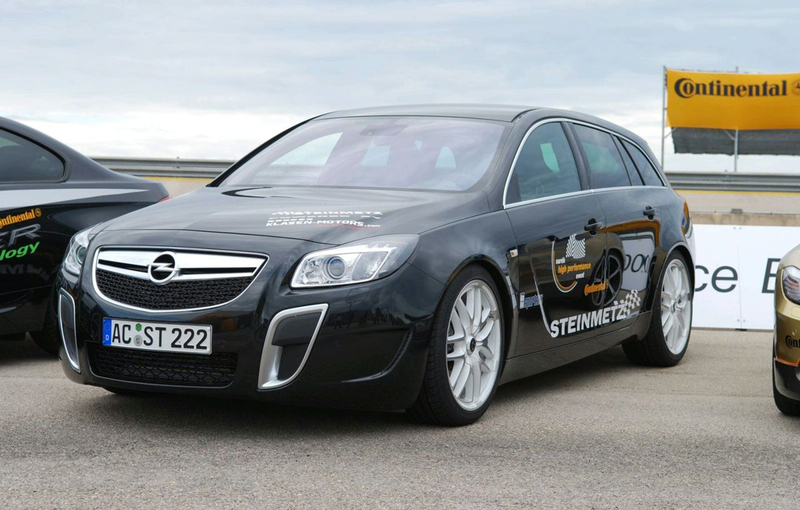 Tuners from Steinmetz and Klasen Motors have developed a complete package of updates to Opel Insignia Sports Tourer OPC, which became the fastest Opel production model with the right to run. 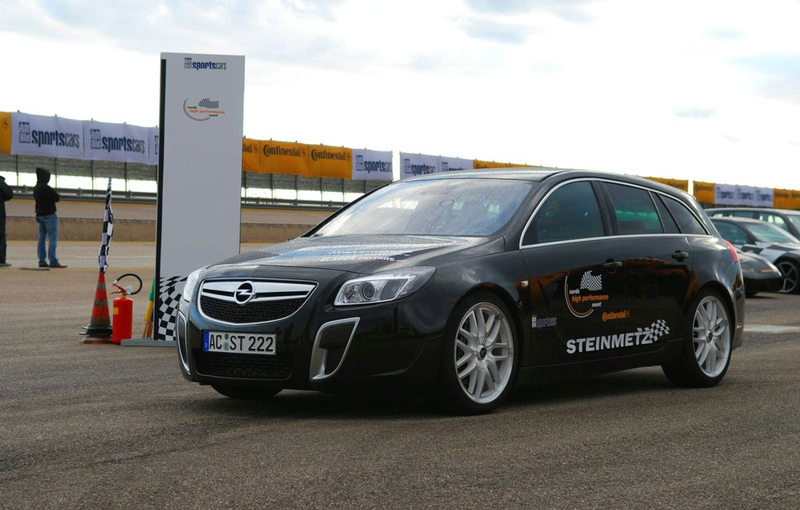 Germans from Steinmetz and Klasen Motors achieved the fastest Opel production model with the right to run the streets. 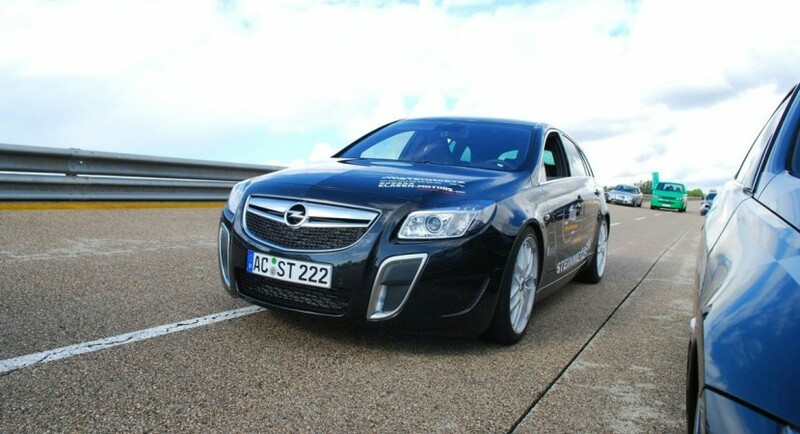 The Insignia Sports Tourer OPC was modified to develop 400 hp at 5250 rpm and reached a top speed of 287.4 km/h . 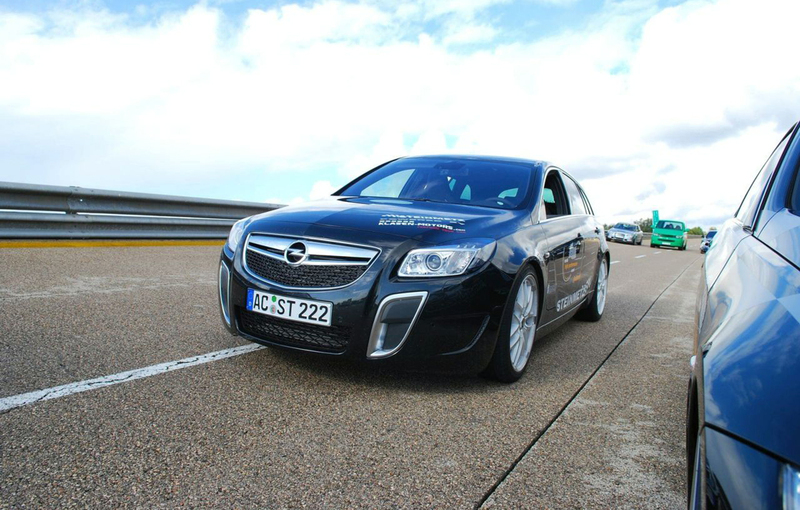 In Standard Edition Opel Insignia OPC Sports Tourer offers 325 hp and 435 Nm from a twin-turbo V6 unit of 2.8 liters. 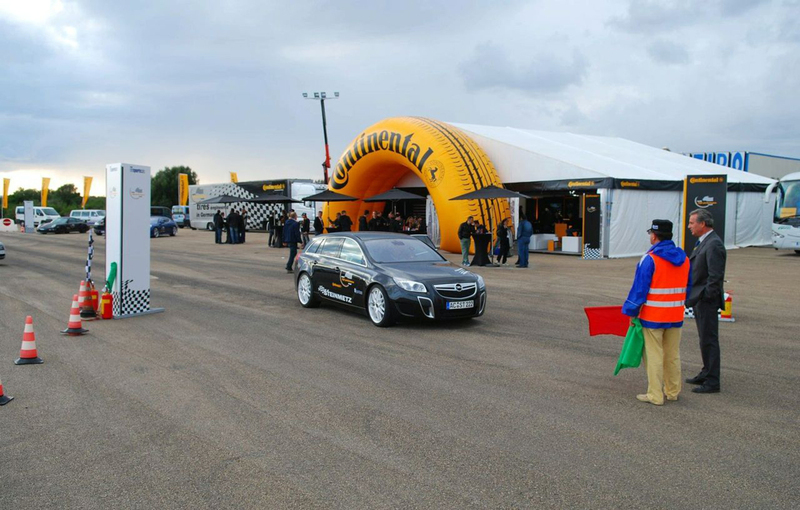 Maximum torque of this model is 550 Nm. 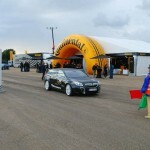 Extra power was achieved through a modified intercooler, a higher turbine with a exhaust system with a larger diameter, an modified injection system and rescheduled electronic system. All these elements complete the tuning kit that consists of Steinmetz ST7 20-inch alloy wheels, suspension with low ground clearance, new front grille, new front bumper spoiler and new rear spoiler for the sniper. The interior received stainless steel handles and a set of mats.